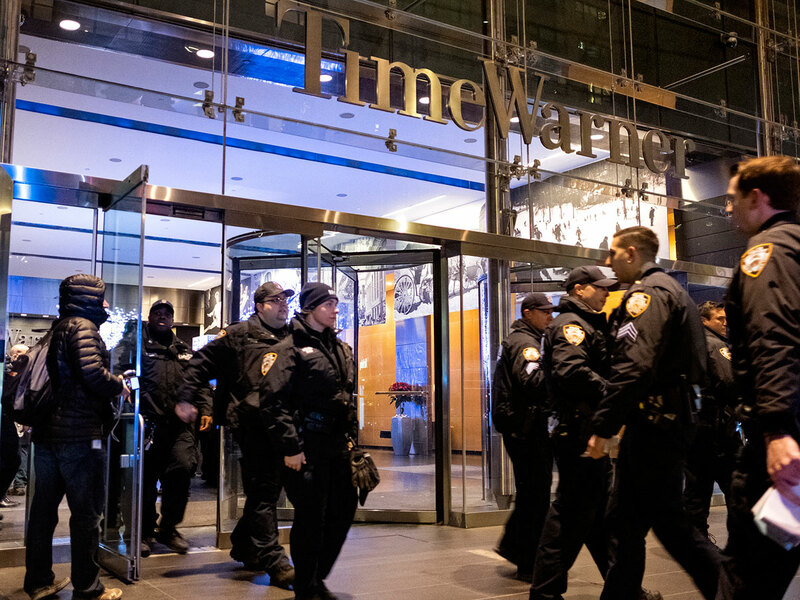 New York: CNN's broadcast offices in New York City were evacuated by police on Thursday night for more than an hour after a caller said there were five bombs hidden in the Time Warner Center Building, disrupting the broadcaster's schedule, police said. The "all clear" was given by police shortly before midnight (0500 GMT) after several dozen police officers searched the building floor by floor. Nothing suspicious was found, CNN reported. All vehicle and pedestrian traffic had been blocked by police, said New York Police Detective Hubert Reyes. The call came in after 10 p.m., and the news network briefly switched to pretaped programming, before cutting to live shots of newscasters, employees and onlookers standing behind police barricades outside the building. The network's bureau at the Time Warner Center was evacuated in October after a package containing an explosive device, addressed to former CIA Director John Brennan, was discovered.